The Top of Michigan Trails Council oversees about 288 miles of existing or soon-to-be constructed trails. About 180 of these trail miles run along old railroad corridors. 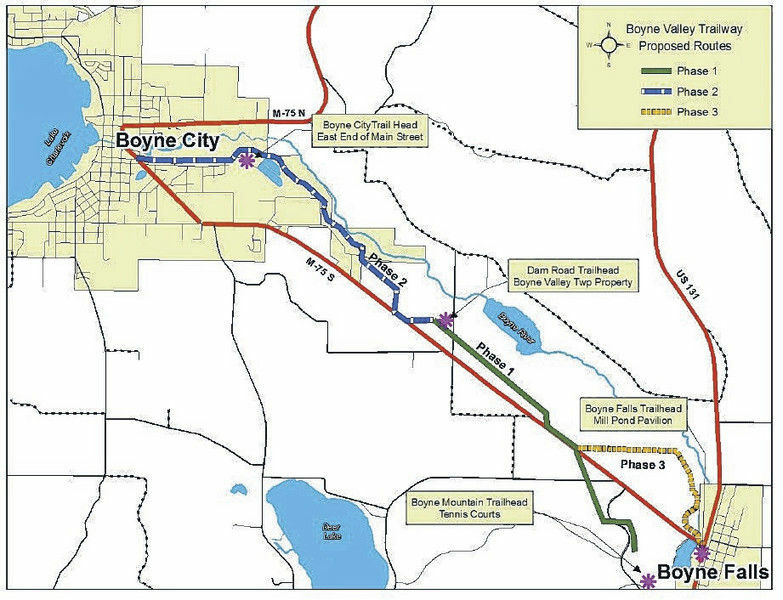 TOMTC “Trunk Line” Trails are non-motorized (except for snowmobiles) multi-purpose trails that can ordinarily be used for running, hiking, bicycling, in-line skating, snowmobiling, and equestrian activities. 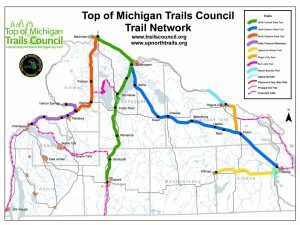 Except where noted, the trails are “dedicated,” that is they do not share the right of way with automobiles, motorcycles etc. 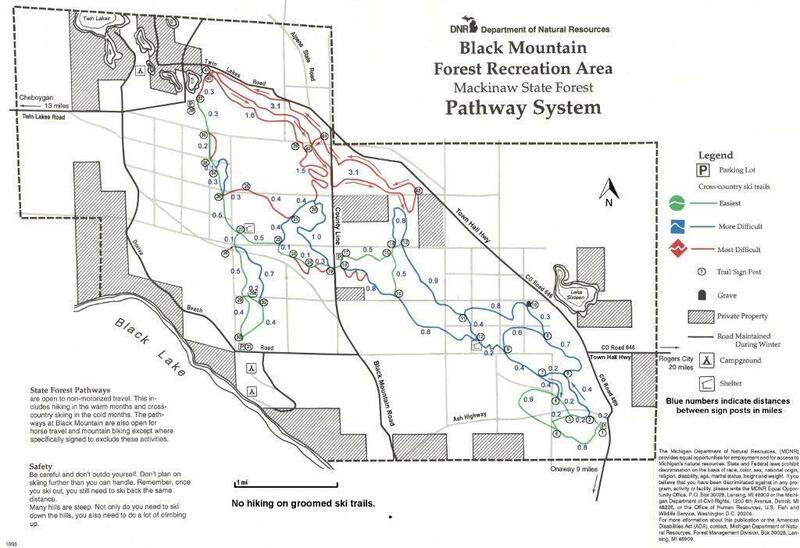 There are some segments where snowmobiles and horses are prohibited and others where activities such as in-line skating and road bicycling are impractical because of the rough trail surface. 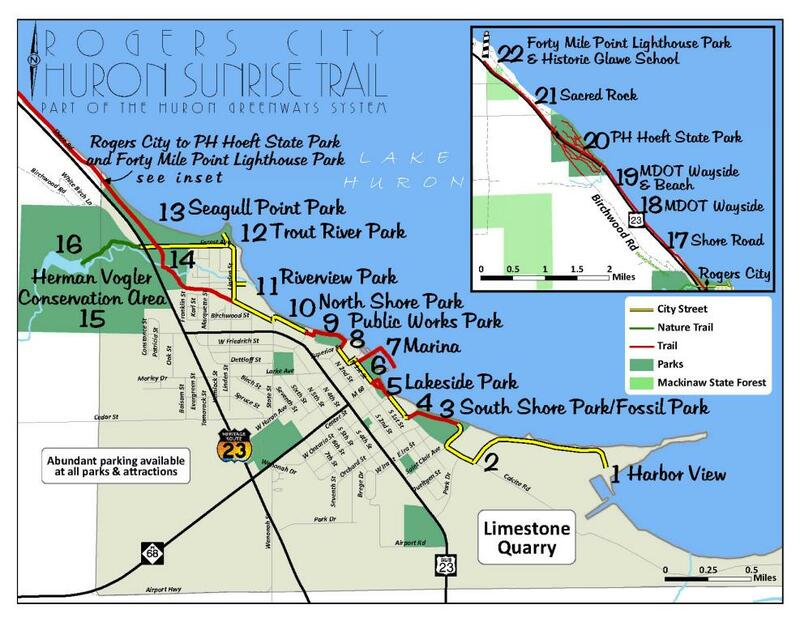 Most of the Huron Sunrise Trail and Presque Isle County, the City of Alpena Bi-Path, and the Little Traverse Wheelway in Emmet and Charlevoix Counties are suitable for smooth surface activities extending to the use of baby strollers. 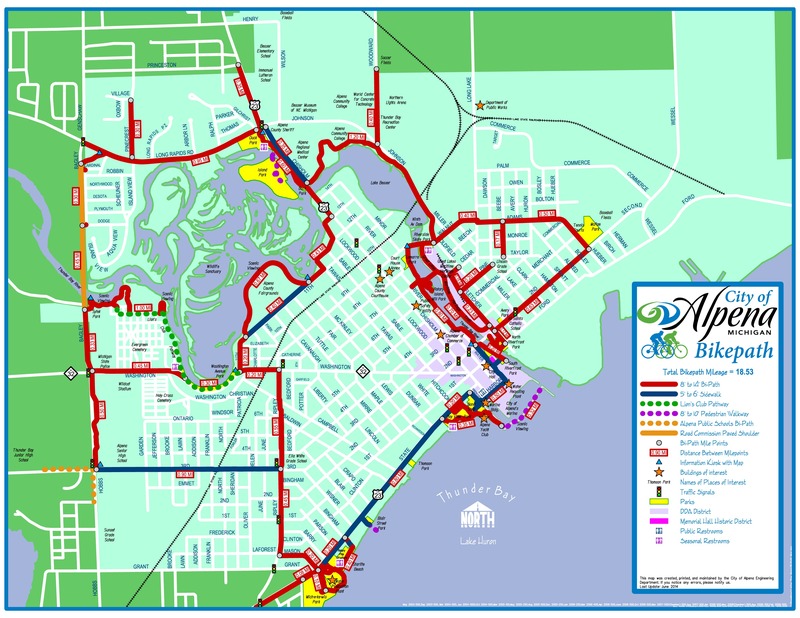 In general, TOMTC trails can accommodate hybrid bicycles. Don’t forget that even though the trail descriptions seem to be written mostly for bicyclists (about 2/3 of our users ride bicycles), the trails are open for all appropriate uses as indicated.